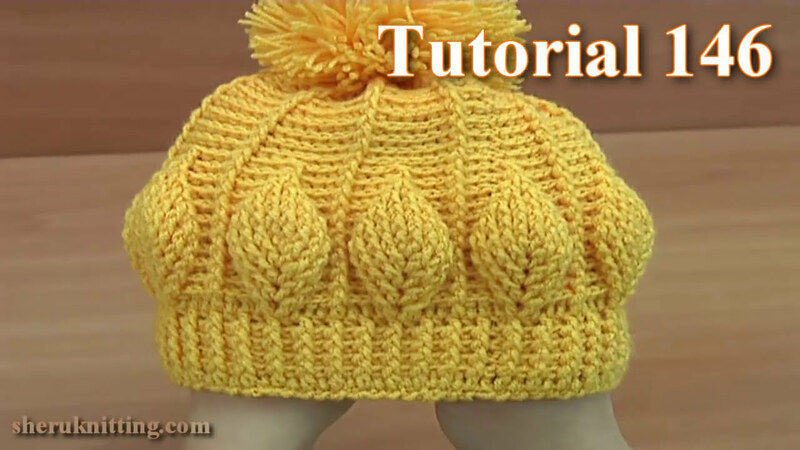 In this tutorial we have learn how to crochet beanie hat with 3D leaves for your child. And we sewed the pompom to the hat. The width of the hat is 22 – 24 centimeters. it is stretchy and can fit perfectly for 44-48 centimeters of head circumference. In this video we used 80-100 gm yarn:51% Manufactured Fibers - Acrylic, 49% Wool 429 yards (392 meters)100 grams (3.53 ounces) and a crochet hook 3mm - 4mm (G). For this size 44-48 centimeters of the crochet beanie hat you need to make a chain of 88, it is 11 rapports, in rapport has 8 stitches. If you want to make the hat bigger then in the video tutorial you should add 8 or 16, or 24 chains in the foundation chain, so if you see every time we add 8 more chains.